The introduction of a National Occupational Licensing System (NOLS) for refrigeration and air conditioning mechanics has divided Australia's HVAC&R industry. The deep divisions were revealed in submissions from industry that have only recently been made public on the National Occupational Licensing Authority (NOLA) website. The submissions were in response to licensing options outlined in the Regulation Impact Statement (RIS) released late last year. The COAG National Licensing Taskforce received 3591 submissions, with 322 dealing exclusively with refrigeration and air conditioning. Initially the licensing reforms were introduced to boost labour mobility across states and territories, allowing contractors to have a single licence that covers the entire country. The federal government boasted that licensing reforms would benefit the Australian economy by more than $86 million a year. With one licence, mechanics could work anywhere in Australia , supposedly boosting productivity and labour mobility. However, since steps began to formally introduce NOLS, a myriad of problems have emerged. For example, NOLS was initially set to begin on July 1 last year, but was postponed until mid-2013. Chair of the NOLS board Elizabeth Crouch said the 12-month delay was due to the complexity of the reforms, with a draft legislative framework expected early this year. But even this deadline is unlikely, according to sources involved in the consultation process. One source told CCN that the July 1, 2013 commencement date is too soon and that the deadline could be extended for a second time. This is because the NOLS framework has to address regulations covering consumer protection as well as occupational issues ranging from health and safety laws to training. Each state and territory has different legislation for each of these issues, which may explain why there is such a high level of interest from industry. Moreover, the system is being introduced at a time when the industry is battling with the impact of the HFC levy and the phase-out of imports of HCFCs by 2016. Both issues affect the sector especially in relation to training and safety around natural refrigerants. The RIS identifies three options – national licensing, no licence (ARCtick only) and mutual recognition. Each of these options are supported by different sections of industry. Following is a round-up of submissions from industry groups highlighting their position and their main points of contention. Air Conditioning and Mechanical Contractors Association of Australia (AMCA) submission. Membership: The AMCA is the peak industry body for companies that design, install, commission and maintain air conditioning and mechanical services systems in the non-residential sector (ie buildings such as offices, hospitals, industrial). In 2011, AMCA members were responsible for $1.4 billion in new and refurbished equipment installation and $500 million of service and maintenance work. Because the commercial sector accounts for more than 65 per cent of this market, AMCA national director David Eynon said separate arrangements are necessary for the commercial and residential markets. Preference: AMCA does not support a national licence. Regulatory systems at the state level are preferred ahead of national ones. "Experience tells us that state-based systems work more closely with industry and are more responsive to industry needs than central or national bodies,” Eynon said. AMCA does not support a registration system maintained by the Australian Refrigeration Council (ARC). "Companies in the commercial sector presently do not have confidence in the ARC to understand and regulate this part of the industry,” he said. Skills and training: AMCA believes the skill level for operators should be Certificate III level as a minimum. It strongly opposes the proposal for national licensing model option A, which provides for persons holding a Certificate II qualification to contract with the general public. Summary: AMCA supports a three-tiered system that provides for a contractor licence, supervisor operative and supervised operative licence. Eynon said the mutual recognition model is not costed in the RIS, which is “disrespectful” to a viable option. "It is disappointing that the strongly held views of industry have been totally disregarded by the steering committee," he said. Membership: The Heating and Cooling Alliance of Australia represents specialists in heating, cooling and ventilation systems. Members work to industry standards and abide by a professional code of ethics. All members are also members of the Masters Plumbers' and Mechanical Services Association of Australia (MPMSAA), which is the umbrella association for all segments of the plumbing industry. Members of the alliance are supported by affiliates consisting of manufacturers, consultants and engineers. Preference: While the HCAA supports the concept of national licensing, the favoured option is mutual recognition. This option delivers the benefits of national licensing in a much cheaper and simpler manner than the other options proposed, its submission states. Mutual recognition means less change to existing legislation and regulations and will not compromise the stringency and coverage of current arrangements. This is an important consideration because less than two per cent of plumbing practitioners will benefit from increased labour mobility. The significant degree of crossover between plumbing and gas-fitting, and refrigeration and air conditioning occupations, means there are efficiency benefits for all parties adopting similar licensing structures. HCAA does not support extending the ARCtick licensing scheme especially as ARCtick licensing only applies to fluorocarbon refrigerants. The use of non-fluorocarbon refrigerants is increasing within industry. The HCAA also supports the three-tier option which includes tradesperson registration, full licence and contractor licence. This option reflects the views of the plumbing industry for appropriate qualification requirements to match the scope of work performed. Skills and training: Plumbing licences should only be issued in the context of a completed plumbing apprenticeship. The assessment of plumbing competency by the external regulator in Victoria should be maintained. This is a vital, underpinning element of Victoria's self certification compliance regime, the submission said. Summary: The HCAA stressed that the current jurisdictional licensing system in Victoria assures high level health and safety outcomes for the community. It mandates that plumbers are trained and competent to carry out plumbing work and engage with the public. A national occupational licensing system must continue to offer this assurance. The Australian Refrigeration Council (ARC) is at the centre of licensing options proposed in the RIS. The big question is whether to expand the role of the ARC to go beyond its current mission, which is to meet Australia’s environmental obligations and global commitment under the Montreal Protocol and Kyoto agreement. The ARC already has the infrastructure in place for the federal government to simply subcontract the council to administer a national licensing scheme that is overseen by NOLA, and as the ARC already administers a national licence scheme for the refrigeration and air conditioning industry, there are certainly plenty of synergies already in place. The government would simply need to introduce legislation to expand the ARC’s role beyond environmental protection. On purely economic terms, the ARC option is cost effective, but there are considerations that go beyond economics. And there are sections of industry strongly opposed to such a move. The ARCtick licence does not cover alternative refrigerants that could only be accommodated by legislation. In fact, many of the current licensing shortfalls could only be addressed by the introduction of new laws. One organisation that supports the expansion of the ARC is the Australian Institute of Refrigeration, Airconditioning and Heating (AIRAH). According to AIRAH's chief operating officer, Neil Cox, the introduction of a NOLS is simply a case of “double regulating” those who work in the HVAC&R sector. "The consultation RIS is effectively proposing three licences,” Cox said. This includes the existing ARCtick occupational licence, a new proposed NOLA licence and a new proposed NOLA contractor licence. "The introduction of a second licence is for all practical purposes double regulating those who work in the HVAC&R industry and directly contradicts the stated aims of the COAG initiative on national licensing,”Cox said. Cox said the industry will not accept two separate Commonwealth-based licences. "We propose maintaining a single licence by expanding ARCtick,”he said. The ARC currently administers a national licence scheme for the refrigeration and air conditioning industry on behalf of the Department of Sustainability, Environment, Water Population and Communities. In its submission, the ARC points to some of the findings in the RIS which show that out of all the options proposed, a national scheme administered by the ARC would have the highest net benefit for Australia. It describes the different licensing approaches taken by the states as conflicting, unjustifiable, excessive and substandard. "Clearly the ARC scheme delivers the most economic benefit,”the submission states. "It would therefore make sense to explore various synergies and possible alignment between the ARC as the current industry administrator and NOLA. Membership: VASA is the only network in Australasia representing the professional workshops and technicians in the vehicle air conditioning aftermarket. Preference: In its submission, VASA expressed concerns about the unlicensed use of hydrocarbon refrigerants in automotive air conditioning and transport refrigeration systems. To effectively address this concern, VASA supports expanding the role of the national ARCtick licensing system. Skills and training: VASA believes the current system is being undermined by untrained and inexperienced individuals and business enterprises performing service and repair operations on air conditioning equipment using non-prescribed hydrocarbon refrigerants which are currently available to unlicensed individuals. VASA president Ian Stangroome said all products manufactured, distributed and intended for use as a refrigerant should be classified as a prescribed substance, controlled under the ARCtick licensing system. Summary: There are a number of issues at stake due to the availability of refrigerant products in the marketplace which are not prescribed substances. 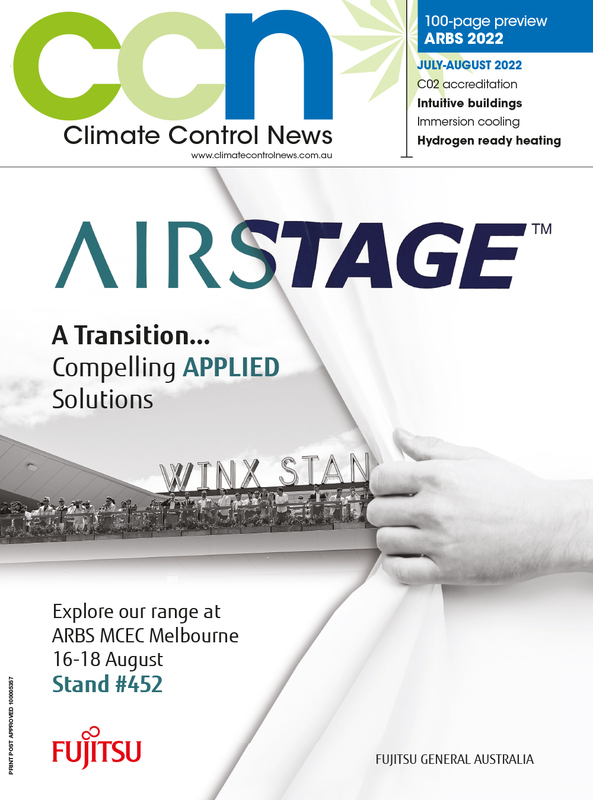 "We prefer an industry in which all refrigerant products are deemed prescribed substances and their use uniformly controlled across Australia under the current ARCtick licensing system,” Stangroome said. AIRAH said there is no question that a single expanded ARCtick scheme is the option favoured by the majority of the industry. This option would guarantee a mobile, skilled and appropriately licensed HVAC&R technical workforce at the least cost to industry and government. Preference: AIRAH supports an expanded ARCtick scheme and contractor licence which rationalises existing requirements and a mutual recognition agreement between states. In its submission, AIRAH said it agrees the refrigerants listed in the RIS should be included as prescribed substances under national licensing, with the possible exclusion of water. "There are other refrigerants including hydrocarbons and hydrofluoro-olefins that also need to be included,”the submission said. Skills and training: All licence holders would be required to meet the mandatory competency requirements for working with restricted plumbing and electrical licences. Meeting the competency requirements for working with natural refrigerants and working with large commercial and industrial refrigeration would be voluntary and need only be held by those licensees who wish to undertake this type of refrigeration work. Summary: AIRAH said any licensing scheme must include mandatory requirements to ensure that licensees maintain their skills and knowledge through continuing professional development. Membership: MSA is the national industry skills council recognised by the Australian government to ensure that the skills needs of manufacturing enterprises are being met. It is responsible for workforce development initiatives which include providing industry intelligence and advice to inform government policy, supporting the development, implementation and improvement of nationally recognised training and qualifications, as well as skills and training advice to individual enterprises. Preference: The MSA believes that a single national licensing system will be in the best interests of industry, workers and the wider community. It will also facilitate a consistent skills base. Its submission states that the organisation is opposed to a mutual recognition system as it will not deliver a seamless approach and will always be subject to the potential for different arrangements being developed and applied across jurisdictions. Skills and training: The scope of MSA's coverage includes many industry sub-sectors where a range of electrical workers are employed. "We have a particular interest in the occupations for refrigeration and air conditioning," it said. National licensing: The MSA supports a consistent skills base. Summary: The organisation supports the ARCtick licence and the national licensing model proposed in model A.